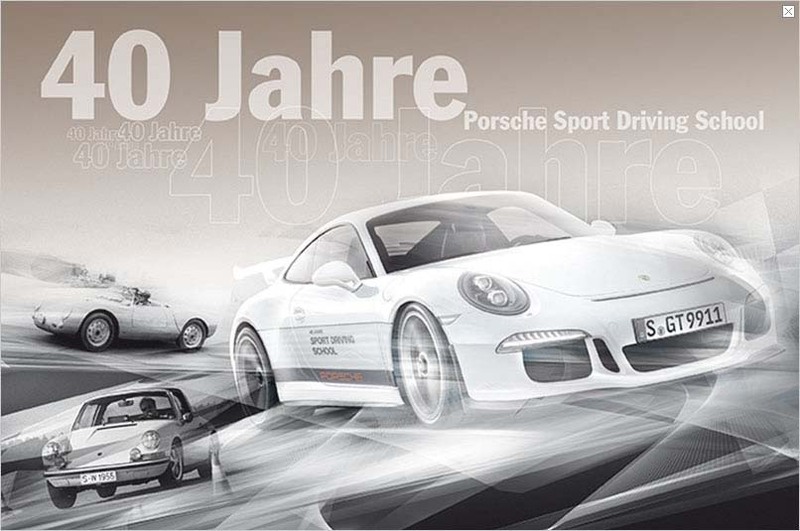 Video: 40 Jahre Porsche Sport Driving School …Still searching the ideal way for you to express your passion for performance driving? Would you like to fully exploit the power of a sports car, push yourself to the limit in narrow chicanes or put your vehicle control skills to the test in tight corners? Whatever challenges you wish to face, Porsche Sport Driving School will show you how to overcome them. At Porsche driving school, the chicane is the classroom. 1974 was a very special year. It was the year of the launch of the 911 Turbo. A sports car that had so much unbridled energy that the press dubbed it ‘madness on wheels’. 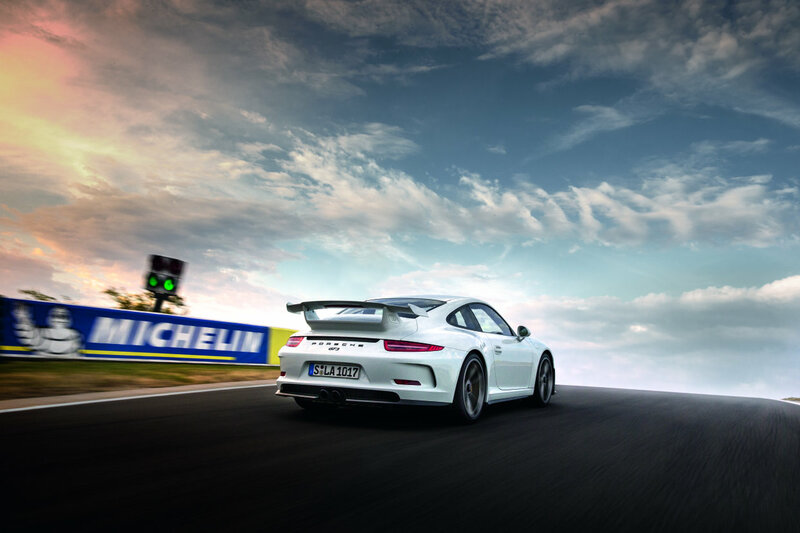 A sports car that set slipstream of the 911 Turbo came along another successful idea – the Porsche Sport Driving School. In order to be able to harness the sheer power of this sports car, drivers not only relied on advanced technology, but also needed to fine-tune their driving technique. What started out as an opening event at the Hockenheimring – supported by Porsche AG engineers – soon began to attract more and more followers who wanted to go increasingly faster. On some of the most famous racetracks around the world – and off the beaten track. Even on snow and ice. In short: wherever your heart desires. Maximum performance. Our benchmark for 40 years. Today, Porsche Sport Driving School Germany offers national and international training events at 10 to 12 different racetracks and circuits every season, employing approximately 120 Porsche instructors worldwide. Porsche Sport Driving School Germany offers standardised training courses in 14 other international markets. All with the same goal in mind: handing over the reins to you, and showing you how to use them. Porsche Sport Driving School Germany will take you from the basics of passive safety to the acquirement of an national competitor´s driver’s license grade A and beyond. Learn how to improve your control over the vehicle in everyday traffic and on the circuit, thus improving driving safety. The Porsche circuit in Leipzig is a very special experience, as it features 10 spectacular sequences inspired by some of the world’s most challenging corners. Within a matter of seconds, you will start to discover the thrill of driving through sections reminiscent of legendary racetracks. While featuring some parts based on famous historic bends, the rest of the Porsche circuit is extremely modern. It boasts state-of-the-art technology, generous run-off zones, and 30 cameras to ensure your safety. Our circuit is FIA-compliant and has been fully approved for professional competition use. Built in 2008, the ultramodern Algarve International Circuit is located close to the city of Portimão. Very technically demanding, the racetrack is also considered by some racing drivers to be one of the world’s most beautiful circuits because of its unique layout. With alternating uphill and downhill sections, changes in direction and gradient, fast, sweeping bends and some blind passages, it requires a high level of driving skill. An absolute must for any ambitious sports car driver: the historic Autodromo in Imola. Covering a distance of 4.9 km and featuring a number of legendary corners, such as the Variante Bassa, Tamburello and Rivazza, it is guaranteed to raise the adrenaline levels of any experienced racing driver. The Autodromo Imola is one of the most famous historic racetracks in Italy. Situated 40 km southeast of Bologna, the circuit hosted Formula One events for decades.